This is Oh, the Places You'll Never Go—the ultimate hilarious, cynical, but absolutely realistic view of a college graduate's future. And what he or she can or can't do about it. 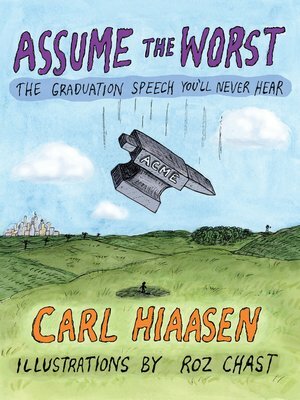 And who better to illustrate—and with those illustrations, expand upon and cement Hiaasen's cynical point of view—than Roz Chast, best-selling author/illustrator and National Book Award winner? The answer again is easy: Nobody.